Green Cloverworms, Hypena scabra have been especially abundant in my NE Minneapolis neighborhood this past week. While on walks I see them flutter out the grass as I pass. Casual examination of building sides usual reveals a few perched individuals. At night they can be seen flying or resting near lights. 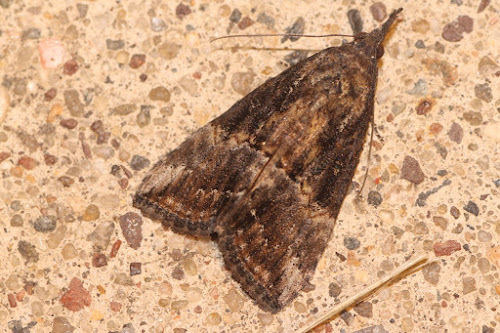 The larva feed on a variety of plants including clover and ragweed, which frequently grows in the lawns of those of us who choose not to use herbicides. It can be a pest of soybeans and other legumes, but their population is usually kept in check by natural predators and parasites. 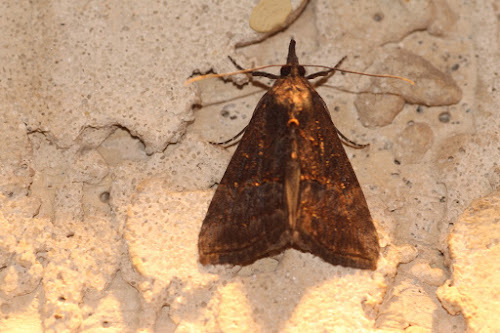 The coloration of Green Cloverworm Moths is quite variable. The most consistent feature is a pale patch along the costa at the apex of the fore wing. 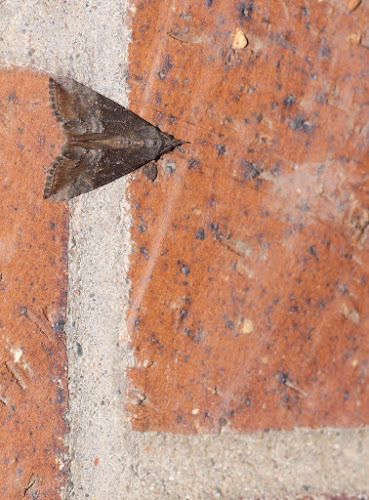 The overall outline is more acute than other moths and it has a prominent "snout". 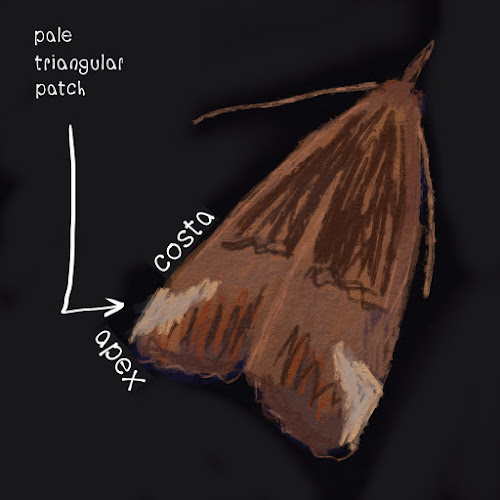 It shares this shape and overall coloration with other moths in the genus Hypena.